The International Dublin Literary Award shortlist was announced this morning. 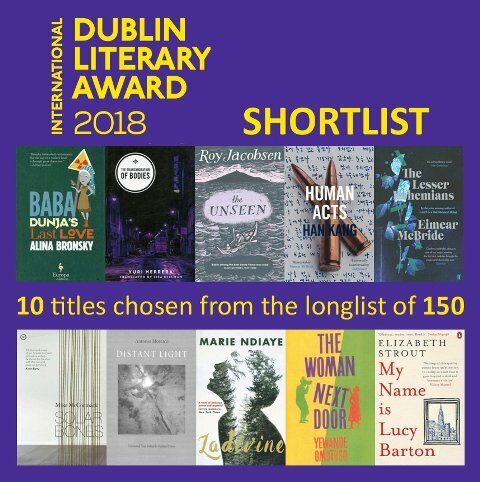 The list includes six novels in translations, six are by women authors and two Irish authors feature on the shortlist of ten – Eimear McBride’s The Lesser Bohemians and Solar Bones by Mike McCormack. Titles are nominated by public libraries in major cities around the world. The prize of €100,000 is awarded to the author of the winning book. However, if the winning book is in English translation, €75,000 is awarded to the author and €25,000 to the translator.. The winner will be announced on 13th June.